← What do you make of this performance? If it hurts, then you are probably doing it wrong. 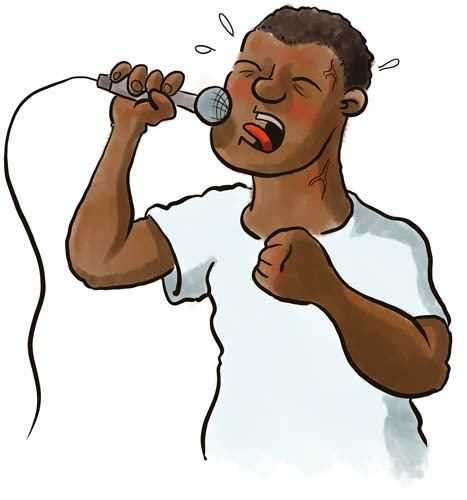 One of my singing colleagues got so over excited singing and screaming at a Metal gig, that he started to spit blood and had to miss the next 3 gigs as a result. There are some cases where musicians should know better but clearly if the teaching and effective technique is absent, then beginner musicians put themselves at serious risk. Being a general classroom music teacher or lecturer of music, I often find myself in a position where I am coaching people on a variety of different instruments. The weight of responsibility for the health and well-being of the musicians in my care can be heavy. As a teacher, I often have to guide drummers or students on an instrument I do not play myself and I am sometimes at a loss as to the safest way to approach a problem. The advice and guidance I offer could at best be inaccurate and at worse, cause long-term damage in the musicians I am looking to nurture and develop. In such cases, my advice is always to stop right now and get help. In general music education, musicians do not have 1 to 1 instrumental tutors and their reliance on my instruction is of prime importance. The cost of 1 to 1 tuition can be unaffordable for many young people and the responsibility on general music teachers is great and the reliable knowledge base of information is sometimes hard to find. Who do we ask for information? Can we trust the information we get from those we ask? Over the years I have built up a strong base of teachers whom I know can ‘talk the talk’ and ‘walk the walk’ when it comes to reliable, safe and sustainable technique. My advice is to seek advice from those who perform regularly and remain healthy in their approach. Those of you who have read my interview with Lee Risdale will know how much I rate teachers like him to provide excellent reliable information on singing. Excellent musicians and teachers like Lee, Sam Brown and Rob Brian (Drums) Duncan Kingston (Bass) Richard Perkins (guitar) who have proved themselves in their field are well-known to me in the South West of England but for new-comers, it can be a scary prospect. To say that Youtube does not always give informed information is a little bit of an understatement. Recently I was recommended to read a book about the well-being of musicians entitled, The Musician’s Body. The book is very well researched and fuses the expertise of an orthopaedic surgeon, Jaume Rosset i Llobet and music education specialist, George Odam. The book tackles voice and many instruments, giving tips, suggestions, activities and exercises to help any musician. It is accessible and yet very scientific with its very helpful diagrams. I found it particularly valuable for us ‘general music teachers’ as it uses some interactive quizzes at the end of each chapter which can be used with groups of learners. So what should I do if I am having health problems related to my playing? too important for you to take chances. If you have ongoing problems related to playing then book yourself some lessons or even a lesson with a reputable player and teacher. Even just one lesson can help a great deal. If you live in the South West, I can give you some contacts for excellent instrumental and vocal teachers. 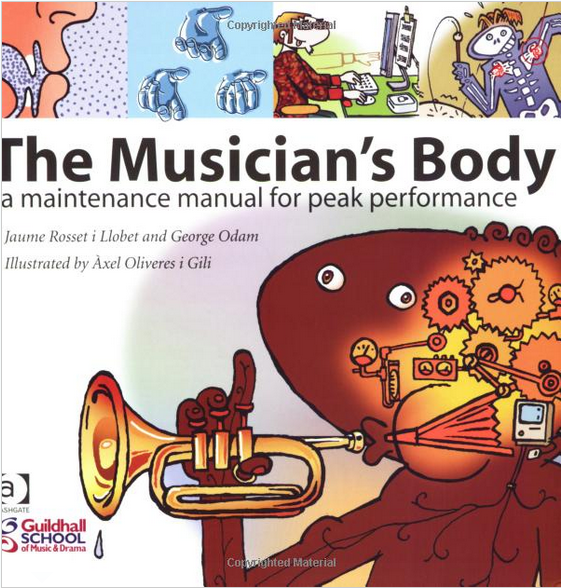 Definitely read the The Musician’s Body as it is an excellent resource for your musical career. If you need more general guidance about developing confidence as a musician, you will find my book or Ebook, How To Become a Confident Performer of particular use. This entry was posted in beginners, Confident Singing, Improving Your Confidence, performance strategies, Sustainable Healthy Playing, Teaching Music and tagged Clive Stocker, Duncan Kingston, George Odam, Jaume Rosset i Llobet, Richard Perkins, robert brian, sam brown. Bookmark the permalink.